The grand, native limestone walls lining the gated entrance into Ravello immediately signify you’re entering a community rooted in modern Texas magnificence. Ravello is bordered by a greenbelt and a private road on each side of the community, providing a peaceful, quiet setting for you to come home to every day. Homes in Ravello feature our newest and most prestigious floorplans, the Legacy Collection. These spacious single-family homes offer many different floorplan options, including features like in-law suites, media rooms, and flex rooms for entertaining and hosting friends and family. 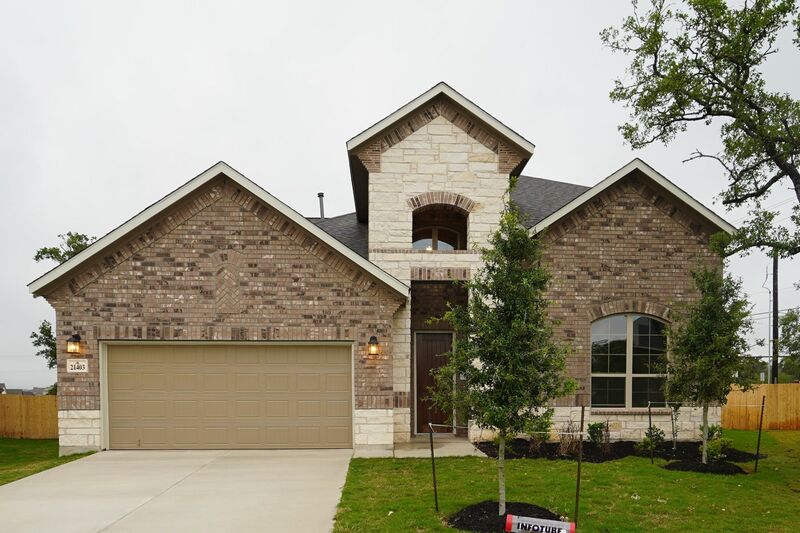 Ravello is located in the highly desirable North Central San Antonio area on Bulverde Road, just 2.25 miles north of Loop 1604, with easy access to all of San Antonio. You’re minutes from fine dining, shopping, and entertainment of all kinds. And these new homes will be a part of Northeast ISD, including Bulverde Creek Elementary, Tex Hill Middle School, and Johnson High School. Ravello provides access to Randolph AFB, Fort Sam Houston, and an easy drive to North Star Mall, the Alamo, San Antonio River Walk, and Shops at La Cantera.